Council bosses have demanded education watchdogs re-inspect a closure-threatened school. South Shields School, in Nevinson Avenue, South Shields, is facing the prospect of closure after failing to become an academy. It had been ordered to convert following an inspection by Ofsted in 2017 which branded it ‘Inadequate’. But following improvements, South Tyneside Council has requested a new visit in an attempt to keep the gates open. “An improved judgement does not change the decision,” Coun Moira Smith, cabinet member for Children, Adults and Families, told a meeting of South Tyneside Council’s cabinet. “However, we’re aware that in a small number of examples a school has been re-inspected and the Education Secretary has used discretionary powers to lift the academy order. The ‘Inadequate’ rating in 2017 was followed by a Directive Academy Order (DAO) - compelling the school to become an academy. But it was unable to find a sponsor which would allow it to do this, mainly due to viability concerns from falling pupil numbers. However, follow-up visit in May, which noted improvements across the board at the school. Coun Smith added: “Ofsted would not normally re-inspect a school in these circumstances, but I have written to Ofsted requesting they re-inspect the school. According to a report prepared ahead of the meeting, just four schools have had a DAO revoked. But it adds that in each case there were ‘very specific individual factors that led to the Order being revoked’ - none of which were viability issues. 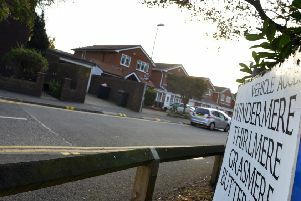 In a statement, a spokesman for Ofsted said: “We can confirm that we have received and responded to a letter from Councillor Moira Smith about this school.